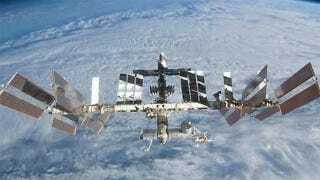 It seems that the International Space Station's internal cooling system is having problems. While the astronauts are not in danger, ground teams had to move critical electrical systems over to the second loop and turn off other non-critical parts of the station. Earlier Wednesday, the pump module on one of the space station's two external cooling loops automatically shut down when it reached pre-set temperature limits. These loops circulate ammonia outside the station to keep both internal and external equipment cool. The flight control teams worked to get the cooling loop back up and running, and they suspect a flow control valve actually inside the pump module itself might not be functioning correctly. At no time was the crew or the station itself in any danger, but the ground teams did work to move certain electrical systems over to the second loop. Some non-critical systems have been powered down inside the Harmony node, the Kibo laboratory and the Columbus laboratory while the teams work to figure out what caused the valve to not function correctly and how to fix it. The crew is safe and preparing to begin a normal sleep shift while experts on the ground collect more data and consider what troubleshooting activities may be necessary. This malfunction follows an external cooling system problem fixed with a spacewalk back in May 11, 2013.